So there I was just a moseying my way through Poole town centre on my lunch break when I bumped into this delightful little feller. 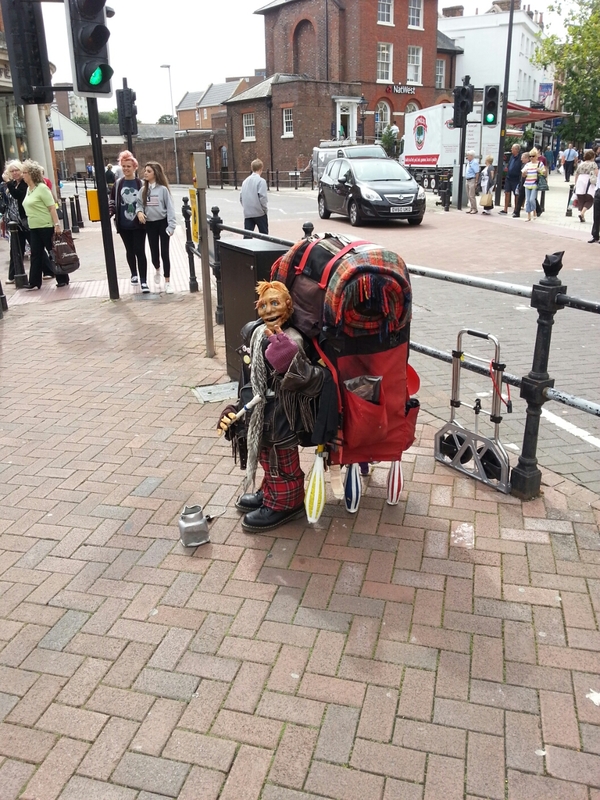 It’s not the first time I have seen this creepy street performer in Poole town centre and a couple of friends have informed me that they have also spotted him at Boomtown Fair and my hometown Weymouth Town. I think this guy is great although I have no idea on what he calls himself and internet searches for some information have borne no fruit, if you know drop a comment as I would love to find out. His performance involves playing his flute, making gestures to passers-by (as you can see in the photo I took) and running after scared kids he he. If you hadn’t guest already the man or women! is sat inside the backpack with the manikin’s legs being his or her own. He is such a great and creepy street performer and I wish we had more creativity like this on our streets. 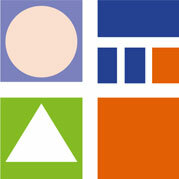 Below is a video clip which my friend Sam Allen shot in November 2011. Hit adult swim cartoon Metalocalypse is set to make a return on the 29th April bringing with it Brendon Small’s trademark metal brutality and twisted humour. Having been a fan since the start I can say I ‘am super excited to see where Brendon takes the band and the classic death metal music mastery that will inevitably lead to the Dethalbum 3. Metalocalypse isn’t the only the only project that is set to be launched on the 29th April as Brendon Small is releasing his side project Galaktikon. You can read a recent blog I wrote about Galaktikon with links to three sample tracks and an interview with Brendon Small where he discusses the sound he developed and the equipment he used on the project.